I know that many of my blog’s readers are looking for various opportunities to make money from home. I already wrote about the best online survey sites that allow you to make extra money sharing your opinion, browsing through websites, watching YouTube videos, etc. Today I’m going to address this post to those of you who spend most of the time on a mobile device as opposed to a desktop computer. 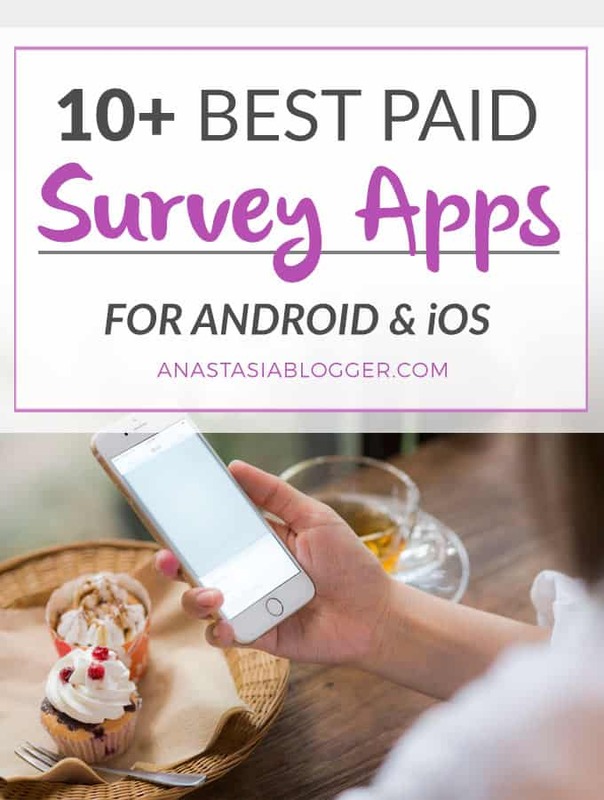 I will recommend you a list of legitimate Android and iOS survey apps that you can install and start making extra money by only searching for products from your smartphone and completing other simple tasks. You can share your opinion and earn cash or rewards from any place using your smartphone, isn’t it the best manifestation of a side hustle work? To increase your survey income, you actually need to pass surveys! You might think, why on earth does she need to emphasize it? Isn’t it obvious? But believe me, a lot, a lot of users spend time registering on multiple survey sites, they do this initial effort… and then never get back to those survey sites to actually make money! 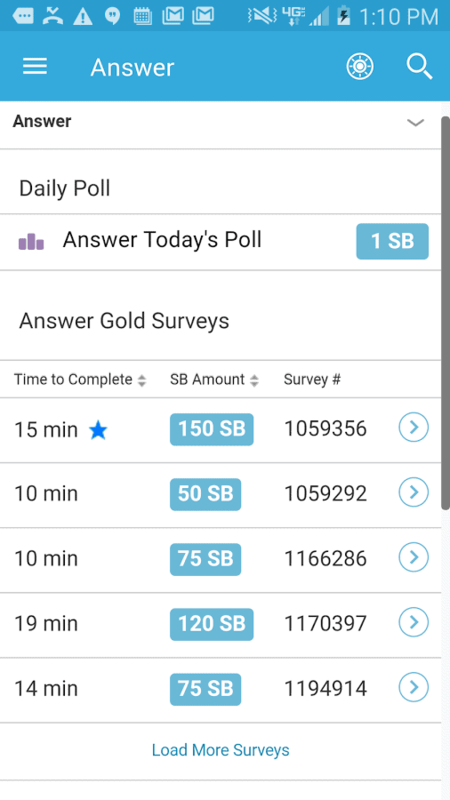 Like with any surveys, it’s best for you to install and use as many survey apps as you can because each company will send you surveys and offer to do online research using their apps a few times a month. Swagbucks.com (Sign up here and get $5 just for joining) – join one of the largest online rewards sites and receive free gift cards for your online activities, such as Taking Surveys, Shopping, Searching the Web, Watching Videos, and Playing Games. You are paid in cash via PayPal! Ebates – You probably heard about Ebates already but didn’t quite understand what it is. Ebates is not exactly a survey app, but they also allow you to make cash online. The company gives you cash back for shopping through their affiliated stores. Ebates is a partner to thousands of online stores, including famous brands like Amazon, Best Buy, Groupon, and others. These exclusive partnerships allow Ebates to offer you special discounts or cash back when you shop. ShopTracker (for the US) – Earn a $3 Virtual Visa Reward instantly within minutes! Download the ShopTracker App to your PC or mobile device and link your online shopping account. Join here. MobileXpression – for Android, iPhone and iPad in the US. Download MobileXpression and get paid for using your devices. After you have been an active member for 1 week, you will receive MobileXpression credits that can be redeemed for a $5.00 Amazon gift card! Each week, this company has giveaways for cool prizes from companies like KitchenAid, Apple, Samsung, & Canon. Every 90 days you’re a member, they’ll help the environment by planting 1 tree in your honor. So simple – get gift cards just for keeping apps on your devices! Nielsen Computer & Mobile Panel – For installing the Nielsen App on your computer or mobile device, you will automatically be entered into their sweepstakes. There are opportunities to earn even more rewards by registering more devices and staying with us longer. All you need to do is to use the Internet as you do every day, and you can win prizes! Nielsen gives away $10,000 each month. 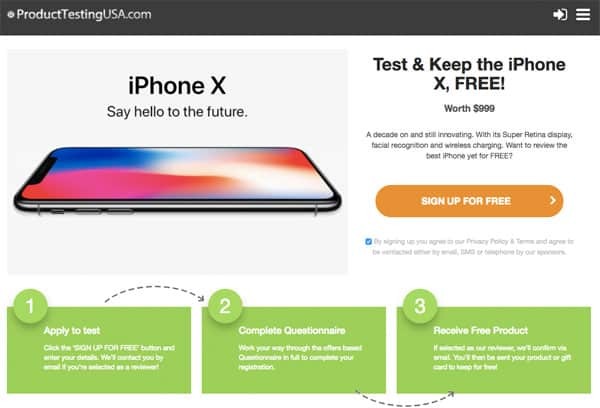 Product Testing US – testing Samsung S8 and iPhone X testing – users of this platform can sign up to review all the latest products from gadgets and games to mother and baby products. If selected, all you need to do is send an honest review of your experience and you can keep your chosen product for free. Groove Deal – only for the US – for Android and this for iOS devices – you can get your rewards with this survey app so easy! Go to reward survey in the navigation menu, browse for deals and check emails for savings and coupons – this is it! Complete ALL Pages of Your Survey for Your Rewards! Tap Bargains – Android (for the US only) – After you install the app, you can to go to the reward surveys, browse daily for deals, check your email for coupons and savings. 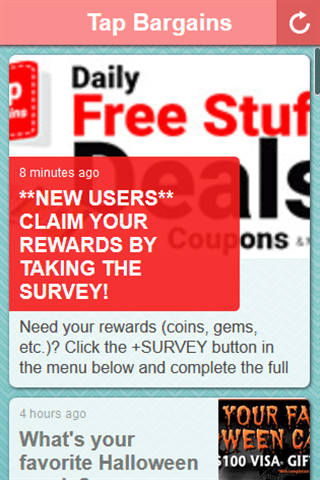 Every user has to complete all pages of surveys to receive rewards! DollarMobi – (only for the US and Android) – Works the same way as the previous app. Daily Unlimited (only for the US and Android) Works the same way as the previous app. 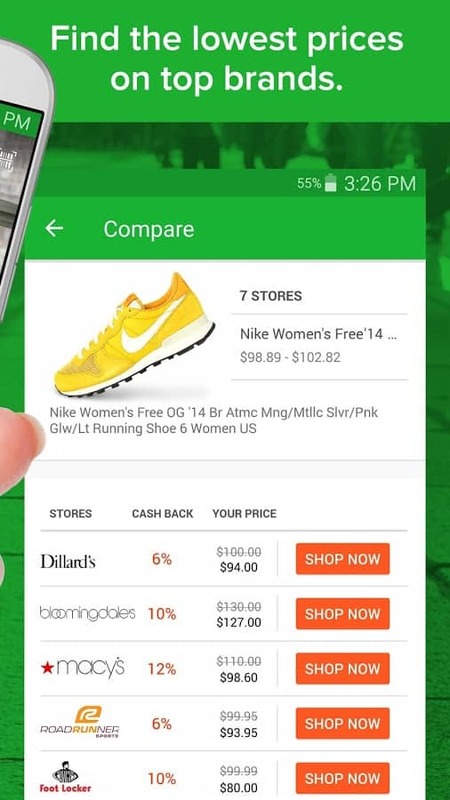 ShopTracker (only for the US) – Download the ShopTracker App to your mobile device and link your online shopping account. MySurvey (only for the US) – Make Money Online! Have fun & get paid for doing surveys Start a New Account. It’s FREE! Global Test Market (only for the US) – Voice your opinion in online surveys, earn points and redeem points for cash or rewards. CashCrate (only for the US) – for complete surveys and offers, users can get paid by check, with real cash! This list will be updated whenever I find a great opportunity for you to make money with survey apps. If you know other online survey apps that you’d like to recommend to other side-hustlers like you, share in the comments below! 20+ Hand-Picked Best Online Survey Sites (for desktop and laptops) here! 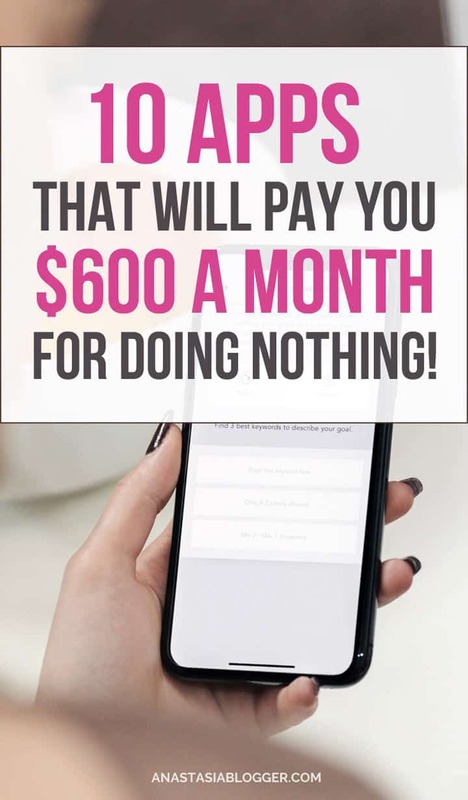 10+ Work From Home Jobs for Extra $1000 a Month in 2018! 28 Best Paid Surveys Sites – Get Paid to Take Surveys in 2018! Interesting! I haven’t really experimented with polls and paid survey apps, but if I ever need one I’ll have to refer back to this list.